﻿ Real Madrid 4-0 Alavés. Firing in all cylinders once again! 24.02.2018 » Real Madrid 4-0 Alavés. Firing in all cylinders once again! 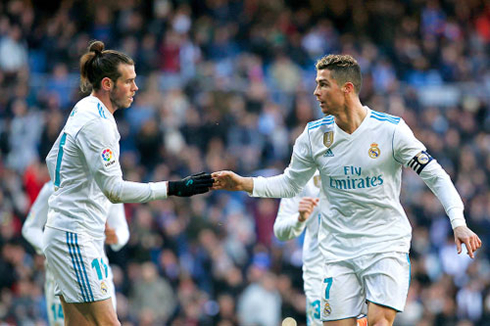 Real Madrid seems to be finding their best form after so many depressing games since the beginning of the season and today they ran over Alavés with a 4-0 win. Cristiano Ronaldo scored a double, while Gareth Bale and Benzema scored a goal each. After 8 consecutive games conceding at least a goal, Real Madrid have finally gone through an entire match without seeing their own net shaking. 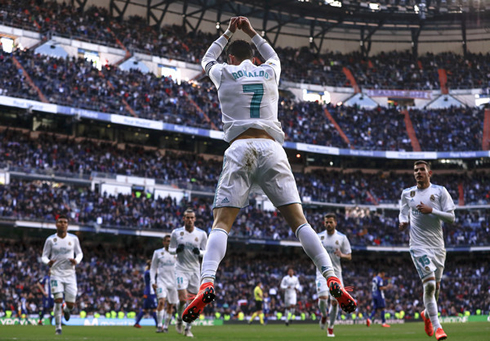 The Merengues defeated Deportivo Alavés 4-0 at the Bernabéu, with Cristiano Ronaldo claiming the spotlight by scoring a brace and hitting the 14-goal mark in the Pichichi standings. If you're still thinking about betting on Ronaldo to win the Pichichi, you better grab a bonus code and do it as soon as you can. Gareth Bale right after the break and Karim Benzema from the penalty spot near the end of the game sealed the deal for Zinedine Zidane's men, who will now play on Tuesday against Espanyol. A benevolent Cristiano Ronaldo capped off what was a fantastic home game for Real Madrid. He netted his 300th goal earlier, but he'll be remembered for his fantastic gesture near the end, as he gave Benzema an opportunity to score a penalty finishing off Alaves 4-0. Actually the Frenchman was quite brilliant in this match. He set up goals for both Ronaldo and Bale and was involved throughout. Unfortunately he missed two clear chances in front of goal and he unforgiving Bernabéu crowd made sure he heard about it. Ronaldo on the other hand, seems to shaken off the cobbwebbs that hindered his campaign early this season. He scored a double and could have better a hat trick if not for his gesture near the end (it would have been his first of the season). 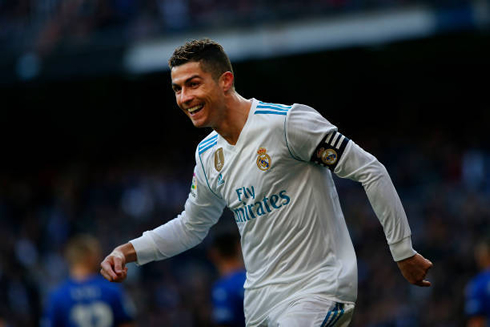 Ronaldo seems to be gearing up and in form at the right time and as we've seen time and time again in recent years, you should never count him out. His double today was trademark Ronaldo, a spin and shot in the box and a one-time finish off a low cross - excellent stuff. Bale was good too, he was a threat in the final third and took his goal right after halftime quite nicely indeed. Another note from today has to be the speed with which we've been moving the ball. It's been a trademark of the second half of the season as we've regained our form and finally look like a Real Madrid team should. Isco has also been missing and I've mentioned the correlation before, but he simply holds onto the ball too long and he will have to change his game if he wants to be a part of our lineup. All three members of the BBC scored today, it was the first time that had happend since 2016 actually and it was great to see them all playing in unison. This season has been a bit of a disaster so far, but perhaps there is hope on the horizon. Performances like this certainly give fans something to look forward to. Cristiano Ronaldo next game for Real Madrid is on February 27 of 2018 against Espanyol. You can watch Juventus live stream, Espanyol vs Real Madrid, Sevilla vs Atletico Madrid, Manchester United vs Chelsea, Manchester City vs Arsenal, and Crystal Palace vs Tottenham, all matches provided from our sport live game pages.